Service, the new old way of doing business. Service…. Its dictionary definition has many meanings. It can be a noun or a verb. You can do a service or have something serviced. It can mean helping someone, or how something is used. It can mean contributing to the defense of your Country or a church ceremony. It can be a set of dishes or the first hit in a tennis game. That is to say like a lot of words in the English language there are a multitude of ways this word is used every day. I have probably used this word every day for most of my life, whether it be the service at a restaurant, a funeral service, my Military service, looking at the city’s services or getting my vehicle serviced. I wanted to talk about service from a business point of view. What we like to call customer service. This morning I wrote an email to a local company that provided some amazing customer service. My wife and I were headed to 100 Mile for a meeting. Just outside of 150 Mile our vehicle made some very weird noises and started pulling to one side. I turned the vehicle around and pulled in to the 150 Mile Tire Centre owned by the Alexander’s. Their staff dropped what they were doing took my vehicle for a test drive and ascertained the problem, fixed it and had me back on the road in no time. I went to pay and was told “It’s OK …you can do something nice for me one day” Who does this anymore. With our businesses we strive for excellence in customer service but that day I was taught a little lesson on what it means to go above and beyond. I have been in business for about twenty five years now and have always tried my hardest to provide the best customer service that I possibly can. Sometimes you get it right all day, but we are only human and sometimes you get it wrong. What has changed that has made customer service rare in most businesses? Have the owners forgotten what that means? Have the staff not been trained properly or have they forgotten? I have always been a voracious reader, mostly nonfiction about tech, self-improvement and business. One of the very first books I read was about over the top customer service. 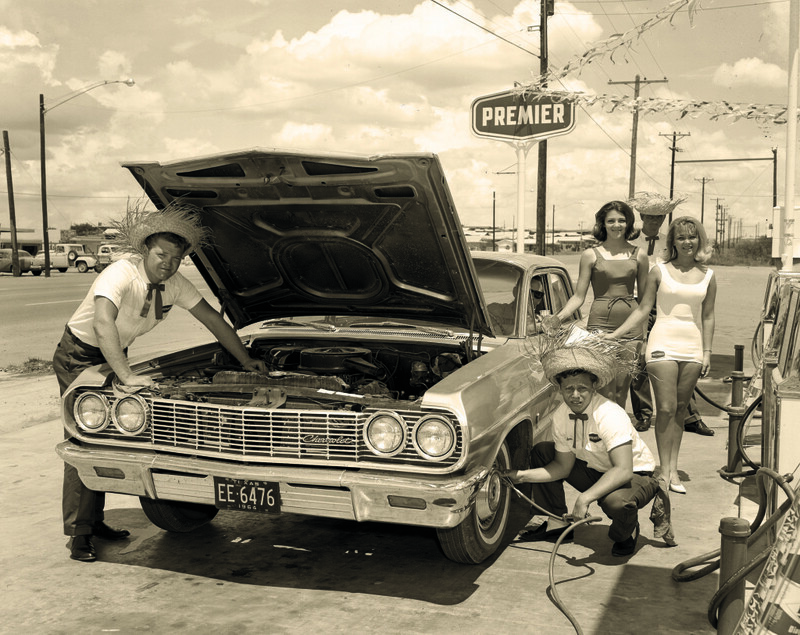 One of the examples it had was a gas station, back then we used to call them service stations. It was in a big city and always had a lineup. The lineup wasn’t because there was a gas shortage but was because of the service they provided. When you pulled up to the pump it didn’t matter how much gas you were buying the service was the same. Two attendants would run out to your vehicle and I do mean run. They would pump your gas, check your oil and fluids, check your tires, wash your windows, wipe your dash down and if you wanted to step out of your vehicle they would do a quick vacuum and grab any garbage you wanted to get rid of. Once a month the owner would advertise ladies day and every lady would also get a flower. When the owner retired the new owner turned it into a self-serve and the amount of business the owner did took a nose dive. He became like most other gas station around today, with a clerk now sitting behind a bullet proof piece of glass guarding the till. Don’t get me wrong, there are still some service stations that offer to pump your gas but none offer full serve like they did not that many years ago. I have found recently that it’s not just our town but everywhere, that customer service is lacking. It’s always a treat to find someone in the big stores that actually gives the service that I know he has been trained to provide. Many times walking through some of these stores it’s hard to find someone to help and the odd employee that you see will at times avoid your gaze in case they have to stop what they are doing to help. There are those that do provide a canned version of customer service with a scripted speech that has no personality added in to it. I’ve actually had someone say to me “did you find what you were looking for?” (I always feel I have to start singing a U2 song when I hear that) and when I said no they just carried on as if I said yes. To perform amazing customer service I believe that you have to really listen to your customer. When they say that the meal is cold, don’t just say sorry but try to hear what they want to solve the issue. Listening and pay attention is the key. I have a buddy that is Jewish and part of his religious beliefs is that he does not eat pork or bacon. He told me over half of the time he orders meals without bacon that it still shows up with it. That can be solved with a little listening. I do believe the era of no service or self-service is going and a new time of over the top customer service is fast approaching. When I go to the bank I like to stand in line to talk to a teller, I like to get my gas pumped (If they’re quick enough), I don’t like buffets and I detest automatic phone systems where you have to punch in 20 numbers just to get push over to somebody’s voice mail. I would like to challenge any of the business owners in town that have forgotten what made them successful. Say hi to someone when they come in and have a conversation rather than get then in and get them out. Let the ringing phone go to voice mail when you have a customer in front of you. Carry their purchases out to their car or just offer. Smile and when someone asks you how your day is going say “It’s awesome”. Offer a coffee if they have to wait and a magazine or newspaper. The little things mean so much to people and will make them want to come back. With spring on its way we will also be getting visitors and the next time you see someone with a confused look trying to figure out where they are going offer to help and they will always remember that the Cariboo is a very friendly place with exceptional customer service.